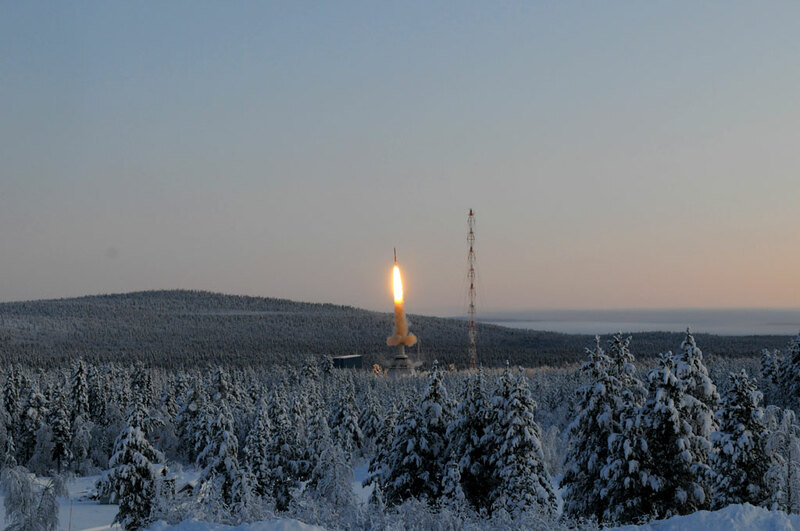 The launch of the German Aerospace Center (DLR) TEXUS 47 rocket on 29 November 2009 at 10:00 from Esrange in Kiruna, northern Sweden, and the successful recovery of its payload was the auspicious conclusion of this years TEXUS (technological experiments under weightless conditions) research programme. In the course of its parabolic trajectory, the VSB-30 rocket reached an altitude of 264 kilometres, and zero gravity conditions were experienced for about six and a half minutes. Scientists from research institutes and industry exploited these conditions to carry out materials science and biology experiments. The TEXUS 46 rocket had flown just seven days earlier, in a collaboration between DLR, the European Space Agency (ESA) and the Japanese Space Agency (JAXA). TEXUS 47 carried a total of four experiments. An experiment by scientists from the University of Freiburg examined the growth of silicon crystals, a technologically important semiconductor. In normal Earth gravity, convection currents develop in the fluid in which the crystals grow. These currents are not present in zero gravity. This makes it possible to investigate the effects of other currents that do not depend on gravity. The researchers were therefore able to test new technical measures to influence these currents and the tests yielded information that will be of value in growing crystals on Earth. The TRACE (Transparent Alloys for Columnar Equiaxed Solidification) materials science experiment, performed by the Aachen ACCESS research centre, investigated the processes and structures involved in the solidification of metallic alloys. This was done by investigating the behaviour of a mixture of organic substances that solidifies in a manner that is analogous to a liquid metal. The transparency of the organic ‘alloy’ made it possible to observe the solidification process directly. The experiment will yield data for improving industrial casting processes. 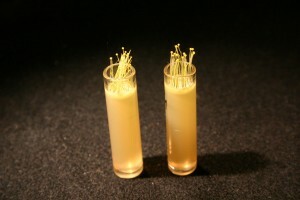 The biological experiment performed by the University of Tübingen was intended to find out how the plant cells of thale cress (Arabidopsis thaliana) react to different environmental conditions. The cessation of gravity during the flight of the TEXUS rocket is one such change. 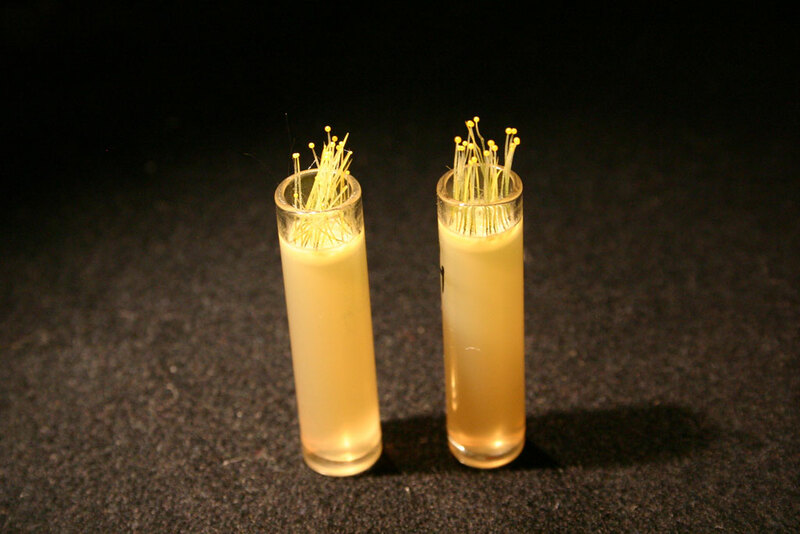 From experiments on the ground, it is known that plants react to increased gravity by forming special oxygen bonds. The TEXUS 47 experiment investigated whether this also happened when gravity is cut off, and which special genetic products and proteins are produced by the cells in such circumstances. Not only plants but also fungi react to the Earth’s gravitational field by growing in line with it – a phenomenon known as gravitropism. A team from the University of Marburg ran an experiment on the TEXUS 47 with a single-cell fungus – Phycomyces blakesleeanus – to determine which immediate reactions to changes in orientation and gravity can be detected. These reactions are called primary gravitropic reactions. Using a centrifuge in the experiment enabled the researchers to determine at which ‘intensity of gravity’ – from zero to normal Earth gravity – the reactions occur at. Seven days earlier, on 22 November 2009, research rocket TEXUS 46 reached a peak altitude of 253 kilometres and provided researchers with six and a half minutes of zero gravity for their experiments. The German-European EML (Electro-Magnetic Levitation) experiment made its third flight on TEXUS 46. The experiment enables the properties of fluid, free-floating metals to be studied with far greater precision than on Earth. Researchers from the University of Ulm and the DLR Institute of Materials Physics in Space (Institut für Materialphysik im Weltraum) in Cologne contributed to the experiment. The project is intended to improve computer simulation of metal castings and thus actual industrial casting processes. This flight also carried an experiment from Japan. This collaboration involved ESA and JAXA in an experiment in droplet combustion. Conducted under the supervision of German scientists from the Centre of Applied Space Flight Technology and Micro-Gravitation (Zentrums für angewandte Raumfahrttechnologie und Mikrogravitation; ZARM) in Bremen and the Technical University of Munich, the experiment was intended primarily to investigate the combustion of fuel sprays. The scientists also examined the resulting exhaust gas, with the aim of developing strategies to reduce the emission of harmful oxides of nitrogen. EADS Astrium in Bremen handled the preparations for the execution of the two TEXUS missions. Other partners were Kayser-Threde GmbH from Munich, the MORABA mobile rocket base and DLR’s Microgravity User Support Centre (MUSC), the Brazilian Aerospace Agency CTA (Centro Técnico Aerospacial) and the Swedish Space Corporation. The TEXUS programme has successfully completed 47 flights since 1976. TEXUS (Technologische Experimente unter Schwerelosigkeit – technological experiments under weightless conditions) offers scientists the opportunity to conduct zero gravity experiments and also to prepare experiments for the International Space Station. 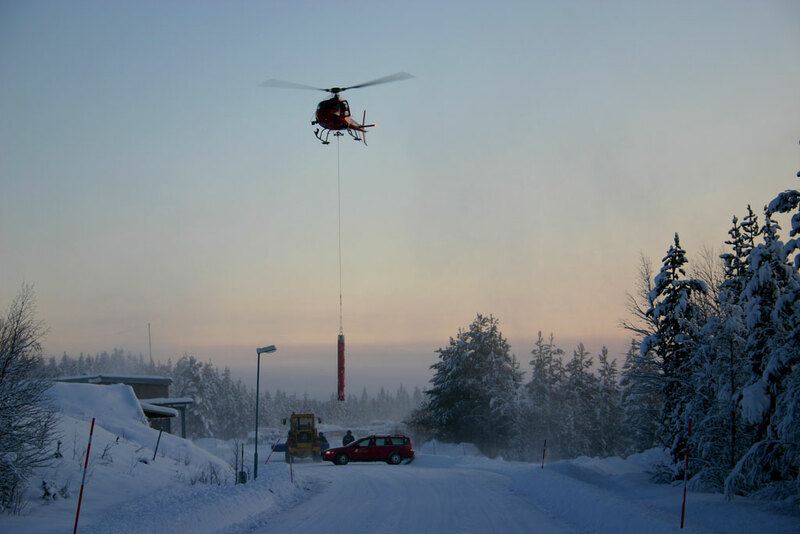 TEXUS stands out for the re-usability of the payload, short preparation and access times, a regular, user-friendly access to zero gravity and, in comparison to manned missions, lower safety requirements.